Slip into the Ciara XLS and you will find total relaxation. The Ciara offers many different seating areas all ergonomically designed to provide maximum hydrotherapy to all parts of the body. Beautiful as it is versatile, the Ciara can fit through a 36” standard door allowing for easy installation in sunrooms, basements or screened porches without costly removal of doors, windows or walls. 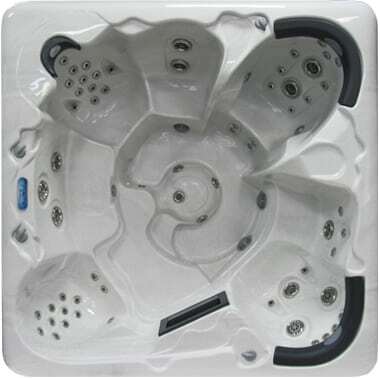 Contact us to learn more about our hot tubs for sale as well as the pool repair and pool service we offer. Fill Weight: 3230Lbs. / 1468Kgs.